Can technology reverse the London Stock Exchange’s decline? The London Stock Exchange is facing the biggest challenge of its 200-year history as it attempts to attract growing numbers of computerised traders to reverse declining market share. After recognising in June that its Tradelect core trading system, which took four years to develop and cost £40m, was not good enough to cater for the growing numbers of algorithmic traders, the exchange took the brave step of replacing it. Technology from MillenniumIT, which the exchange acquired for £18m in September, will replace Tradelect before the end of 2010. Algorithmic trading systems buy and sell shares automatically when prices match predetermined levels. Traders may hold shares for only milliseconds, and make small amounts of money on massive volumes of trades. As a result, the trading venues they use must be able to provide high speeds, high volumes and consistency. Downtime and slow trading can slash traders' revenue. 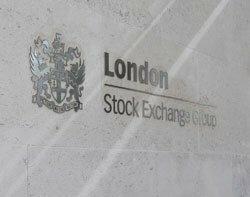 New competitors to the London Stock Exchange, known as multi-trading facilities (MTFs), have emerged as a result of the Markets in Financial Instruments Directive (Mifid), which was introduced in November 2007 to liberalise the sector. For example, Chi-X and Bats can complete trades in 0.4 milliseconds and 200 microseconds respectively, compared with Tradelect's 3.7 milliseconds per trade. MillenniumIT says its trading platform can complete a trade in 130 microseconds and expects this to fall to 40 microseconds over time. London Stock Exchange CIO David Lester says the London Stock Exchange did not have the speed, throughput and consistency that algorithmic traders demand. But he says the MillenniumIT technology will give it this capability. It has its own specialist platform for algorithmic trading known as Millennium Exchange. "It will allow us to put in place systems with much lower latency and consistently higher volumes. Algorithmic traders currently go to the MTFs because today they offer more attractive throughput and latency," says Lester. MTFs realised the importance of technology that can process large volumes of trades at high speeds because of the rapid growth in algorithmic trading. PJ Di Giammarino, CEO at think-tank JWG-IT, which specialises in the investment sector, says trading venues cannot survive if their trading systems are not competitive. "Performance is the name of the game. With the complexity of the European marketplace and the large number of venues, every venue has to be able to compete with the speed and quality of execution." MillenniumIT will also help reduce technology costs for the London Stock Exchange and will be a profit centre. Development costs will come down immediately. The London Stock Exchange says the £18m it spent on MillenniumIT is less than it used to pay Accenture every year for services that it can now do itself. The London Stock Exchange built a core trading system in-house with the ability to be upgraded to meet changes in demand. It then had to replace it because it couldn't. But it has been brave and stuck its neck by buying a supplier to fix its technology problems, cut costs and increase its IT services revenues. MillenniumIT will be run separately because the stock exchange wants it to remain independent as a service provider. A spokesperson said this was to ensure the company's developments are not stifled. It will also make money through selling trading systems. "Our dream is that our costs go down while MillenniumIT's profits go up," said London Stock Exchange CIO David Lester. Although Lester will not be in charge of MillienniumIT, he will retain control of development as the internal customer. MillenniumIT, which brings its own surveillance, smart order routing and information dissemination systems to the London Stock Exchange, has 300 software developers in Sri Lanka.